Spotify, a commercial music streaming service that is now making waves around the world, is undoubtedly attractive to music buffs with access to fluently play millions of songs without having to purchase or download songs from Spotify and worrying about copyright issues. However, being a free user means that you should sit through banners and audio ads with limitations of five skips per hour as well as no access to offline playback. Certainly, you can switch to a paying premium customer that is allowed to download Spotify songs for offline usage requiring no network by just pressing the "Available Offline" at the top of the playlist. But you can't take downloaded Spotify tracks outside of its client for playback in other programs as you wish though you have paid. And I'm afraid you should say goodbye to iTunes though you love it very much for you can't no longer use iTunes to sync music. Indeed, becoming a premium member is not as perfect as what you imagine, particularly after I tell you that you can get audio recorder for free to record songs audio from Spotify. Here are some free but good audio recording software that can save you a buck. Audacity. It is a free, open source, cross-platform digital audio editor for recording and editing sounds and available for Windows, Mac OS X, Linux and other operating systems. You are allowed to rip spotify songs in formats like MP3, WAV, AAC etc. There is a large array of digital effects and plug-ins. But Audacity does not support 64-bit VST audio effect plug-ins and only MIDI files can be displayed. There are also file formats limitations, for instance, Audacity can't natively import or export WMA, AAC, ACS or other proprietary file formats requiring FFmpeg library. Wavosaur. To download Spotify music, like Christmas songs, Jingle Bells, Have Yourself a Merry Little Christmas, you can use Wavosaur, a free audio editor for editing, processing and recording sounds, WAV and MP3 files. It supports VST plugings, AISO driver, multi-channel WAV files and can be controlled with MIDI surface control. However, the cons of Wavorsaur are the memory problems with very large file and redo is not available. For those who wish to go for fully equipped software to download tracks from Spotify, MacX Video Converter Pro, available for Mac OS (Mojave incl.) and PC (Windows 10 supported), is definitely worth your time looking at. It can save Spotify music offline by recording with original audio quality. There are a number of output formats to choose from. The ability to convert downloaded Spotify songs, including hot new Christmas songs, Santa Tell Me, Have Yourself a Merry Little Christmas, Mary, Did You Know etc. to any other audio format is one of the main appeals-namely MP3, AAC, iPhone Ringtone, AC3, WMA, WAV, ALAC, GAF, DTS, OGG, etc. without losing audio quality thanks to its built-in High Quality Engine. Its various output profiles for the latest Apple, Android devices enable you to enjoy any songs or music from Spotify offline without audio formats limitations playback on portable devices or other installed media player. This software also includes other ultra-rich features like downloading free songs, TV shows, movies etc. from YouTube, Dailymotion, Myvideo, Metacafe, Vimeo, Vevo, etc. 300+ music video sharing sites and convert videos to any format, say, MP4, AVI, FLV, MOV, WMV etc. It can be downloaded for both Mac and Windows. The downloader comes with a neat interface, making it easy to record Spotify music for users with any level. Below is the start-to-finish guide. 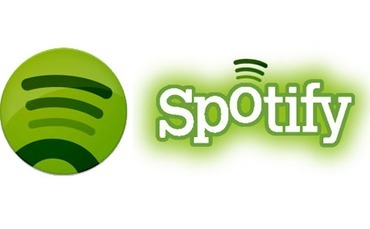 Step 1: Free download and run this powerful Spotify songs downloader. Launch Spotify and open the song you are going to download. Hit the "Screen Recorder" button on the main interface. Step 2: You are free to adjust Spotify recording settings like audio device, target folder, etc. You are not suggested to adjust the audio settings in case of heightened volume. Step 3: Select the destination folder by clicking "Target Folder" button and save downloaded music. Step 4: Start recording Spotify songs audio by pressing "Start Record" button. Please make sure that there is no extra audio disturbing during the Spotify songs recording process. Spotify has proved to be a great one in the realm of music resources. If you're happy with it, then feel free to keep using it. If you are frustrated with Spotify not working issues, then the following sites similar to Spotify may impress you. The first one that comes into my mind is Pandora. Pandora is also known as Pandora Radio or Pandora Internet Radio, one of the top music streaming services but only available for US, Australia and New Zealand. It features over 20 radio stations with access to share stations or the track you love to Twitter and Facebook. What is even more interesting is that Pandora gives you opportunity to listen to in vehicles, movile phones as well as home CE devices. But limitations like six skips per hour per station, songs or artists cannot be seeded still exist. You may wonder whether the above mentioned Spotify music downloader also works out for downloading Pandora songs. Certainly, powerful MacX Video Converter Pro never disappoints music lovers by perfectly downloading Spotify songs as well as Pandora songs with original quality. The steps are similar. Grooveshark is good for exploring new genres, discovering new artists or sharing discoveries via Facebook or Twitter. It provides many live and obscure tracks and apps fro iPhone and other platforms. However, Grooveshar's legal status is till controversial, which means that legality is questionable. Tracks playing on Grooveshak is not as good as on Spotify. Anyway, the choice is in your hand. If you favor Grooveshark, you are also allowed to download music from Grooveshark with the aid of the above Spotify music grabber. YouTube tops video sharing sites, allowing users to view a ton of music videos for free with ease of use. Various videos are available in a range of quality levels. Users can upload videos as well. However, YouTube does not usually offer a download link for music videos, that is to say, you can not download music video from YouTube. 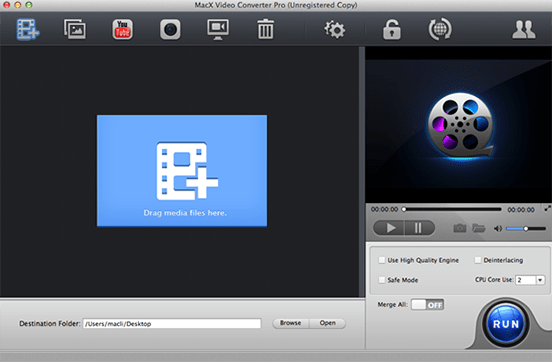 Luckily, apart from downloading Spotify songs, MacX Video Converter Pro also works as a YouTube downloader that deal with quickly downloading any free songs from YouTube , like Christmas songs, New Year songs, country songs, gospel songs and converting songs video to any format playable on iPhone 6/6 Plus, iPad Air 2/Mini 3, Android devices, etc. The whole downloading process is quite easy. Step 1: Free download and run this powerful YouTube downloader. Paste music video URL. Launch it and hit "YouTube" button. Clicking "analyze" to load the music video by copying and pasting the video URL from YouTube. Or clicking "paste & analyze" button to automatically detect videos open on website page. Step 3: Specify an output folder on your Mac to save the output files by hitting the "Browse" button. Step 4: Click "Download Now" and start downloading songs from YouTube. Note: To convert downloaded songs to other video formats, select "Auto add to convert" and later the software will automatically jump to the conversion page.